A theatrical culinary performance with French and Californian influences. 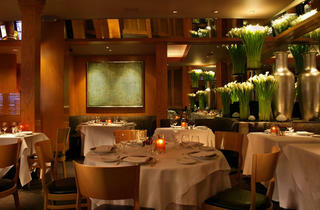 Eating at Gary Danko is like dinner and a night at the theater rolled into one. The superstar chef, winner of numerous culinary awards including a Michelin star, is a fanatic about details—from the perfectly spaced white-clothed tables, arrangements of fresh flowers, and amazingly well-informed and attentive staff, to the flawless presentation of signature dishes such as his trademark glazed oysters with lettuce cream, salsify and osetra caviar. 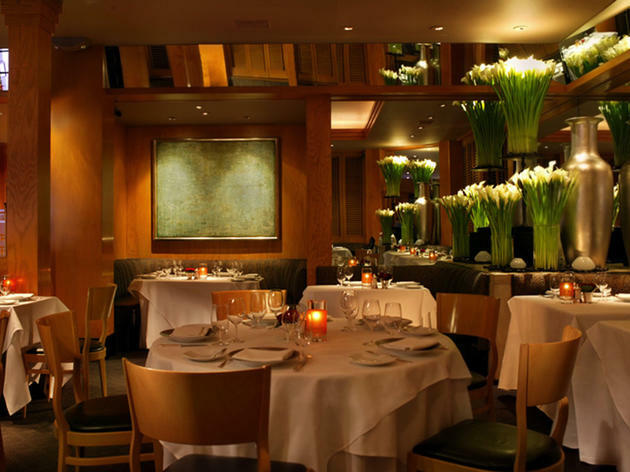 Danko's French-California cuisine changes seasonally, but often includes variations on juniper-crusted game, lobster salad and desserts flambéed tableside. It's pricey, but worth ponying up for the five-course tasting menu—a gastronomic spectacular that includes a swoon-inducing cheese cart (wine pairings extra). Reservations are essential. Bus 2, 4, 8, 18, 24, 27, 30, 38, 44, 47, 54, 56 58, 72, 74, 76, 91/cable car Powell-Hyde.